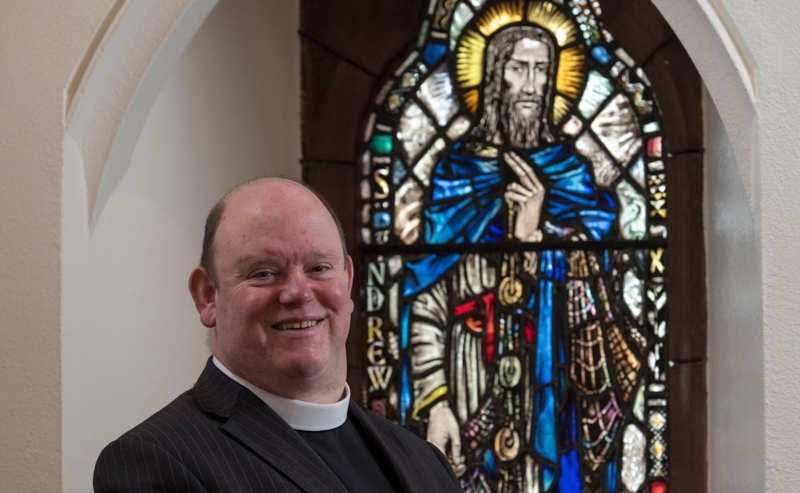 The Moderator of the General Assembly has praised Church of Scotland members for the work they do to support people living with dementia and their carers. Right Rev Dr Derek Browning expresses his appreciation for the musical project aimed at engaging people living with dementia and Alzheimer's disease. 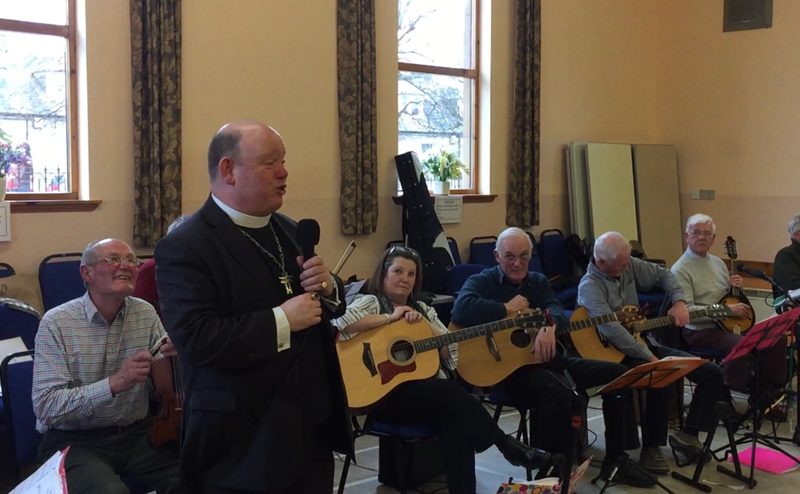 Right Rev Dr Derek Browning was the guest of honour at the Musical Minds group, which uses music and song to engage people whose memories have deteriorated, at Dalbeattie Parish Church hall in Dumfries and Galloway. 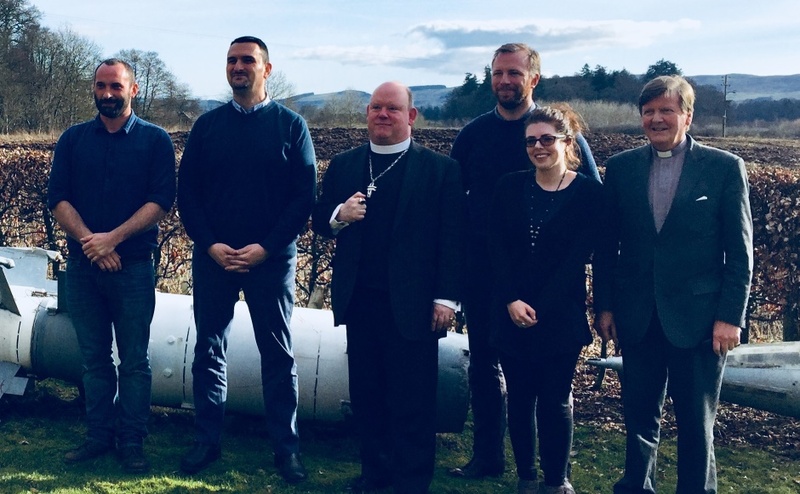 Dr Browning is currently on a Dumfries and Kirkcudbright Presbytery visit and meeting people of faith to get a flavour of their tireless efforts to enrich their communities. Yesterday, he was given a tour of Dumfries Prison by Chaplain, Rev Neil Campbell, and met staff and prisoners. 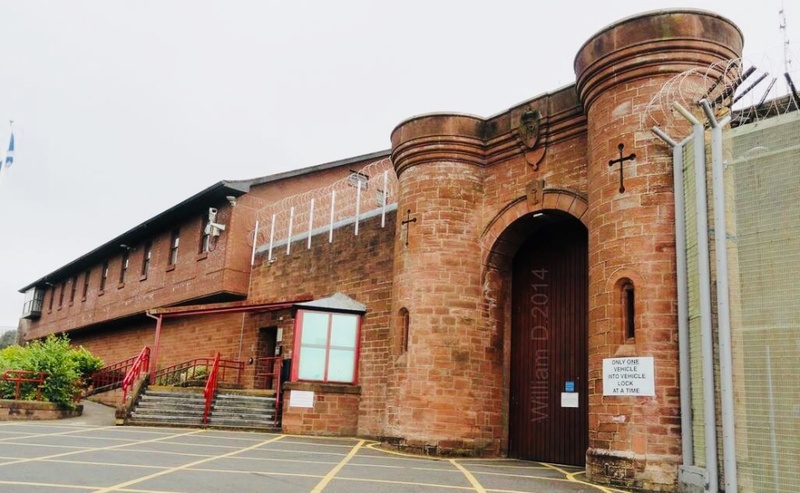 Dr Browning said: “It was an insightful morning at HMP Dumfries, Scotland's oldest prison. “It was interesting to meet the Governor, senior staff, chaplains and prisoners to hear about hopes, dreams, fears and futures. Later, Dr Browning visited Dalbeattie Learning Campus, which comprises a secondary school, primary school and nursery. 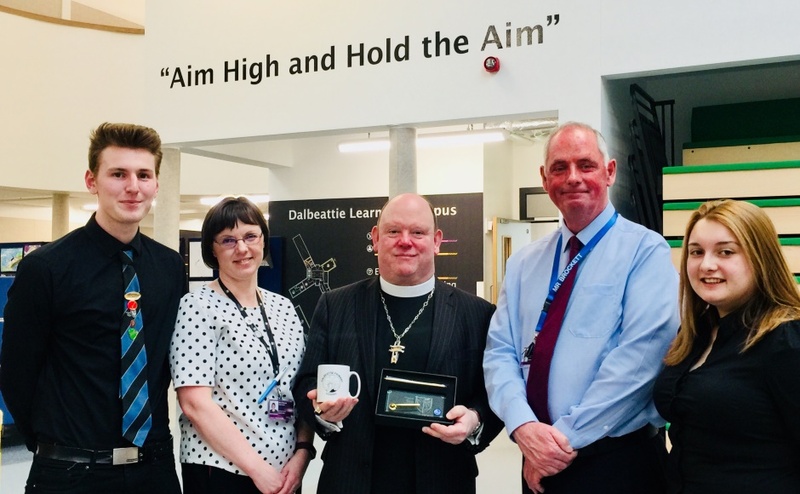 He met senior pupils Ross Herrick, Nicole Geddes, primary school head teacher Elizabeth Duncan and Derek Brockett, head of the secondary school. Ross Herrick, primary school head teacher, Elizabeth Duncan, Dr Browning, Derek Brockett, head of the secondary school and Nicole Geddes. Dr Browning said: “I spent a wonderful hour at the Dableattie Learning Campus, a building combining nursery, primary and secondary schools. Pupils Ross Herrick and Nicole Geddes show the Moderator round the school automotive teaching facility. On Tuesday, the Moderator was given a tour round Dumfries and Galloway Royal Infirmary by NHS Chaplain Dawn Allan. The state-of-the-art hospital opened a few months ago and has a tranquil sanctuary for people of faith and none. Dr Browning paid a visit to the HQ of the Halo Trust near Thornhill and learned more about their extraordinary work to clear land mines in some of the most dangerous countries on earth. 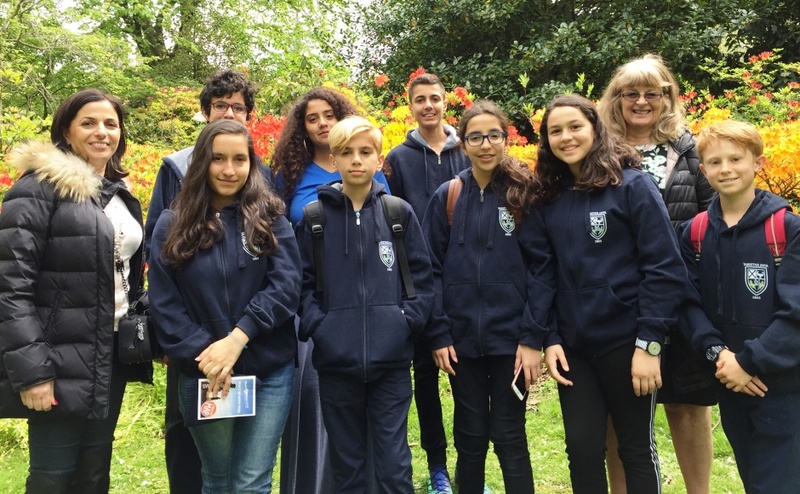 The discussion was led by the charity’s team leader, Valon Kumnova who revealed that work to make safe a baptismal site with links to Jesus Christ on the border of Israel, Palestine and Jordan began on Sunday. 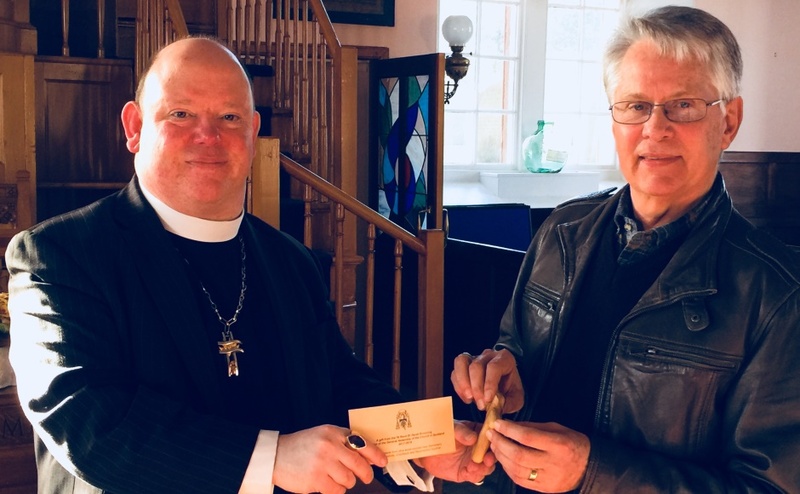 St Columba’s Church of Scotland in London has donated £5,000 to the project, which requires an additional £115,000 to be completed. Dr Browning and Halo Trust staff members at their headquarters near Thornhill. Dr Browning visited the Holy site in January. The Moderator then went to Dunscore Parish Church where he was given a very warm welcome by minister Rev Jannie Du Plessis and members. Dunscore Parish Church minister, Rev Jannie Du Plessis and Dr Browning. 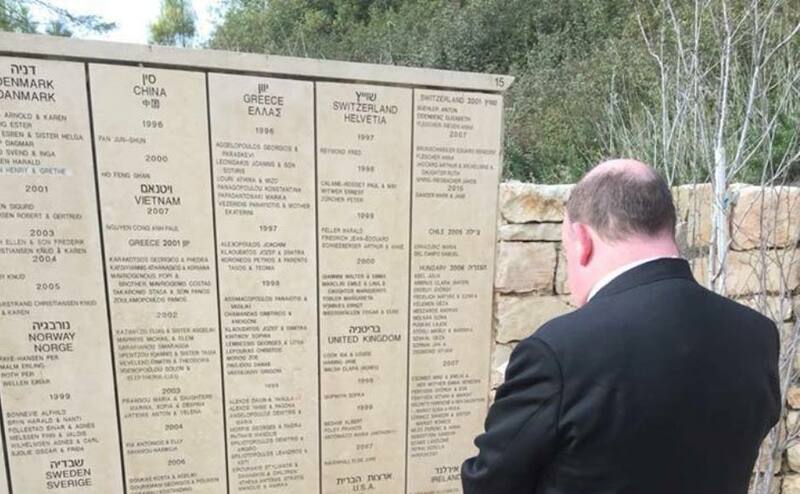 He was shown round a fantastic new heritage centre, which is partly dedicated to World War Two heroine, Jane Haining, who sacrificed her life during the Holocaust to save Jewish school girls during the Holocaust. The boarding school matron, who grew up in Dunscore and was arrested at the Scottish Mission in Budapest, Hungary, died in the infamous Nazi extermination camp, Auschwitz Birkenau, in 1944. 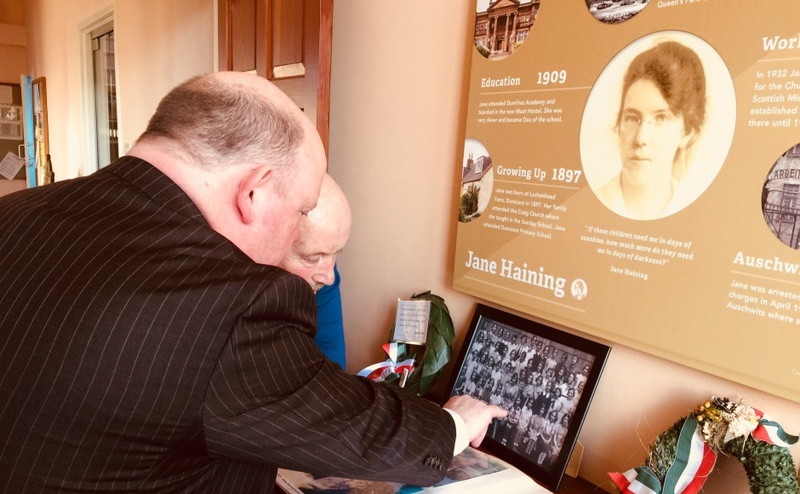 Dr Browning examines the Jane Haining exhibition in Dunscore Parish Church Heritage Centre.